This is the same trash the dress photoshoot in Philadelphia where the bride burnt her dress with a firewhip. 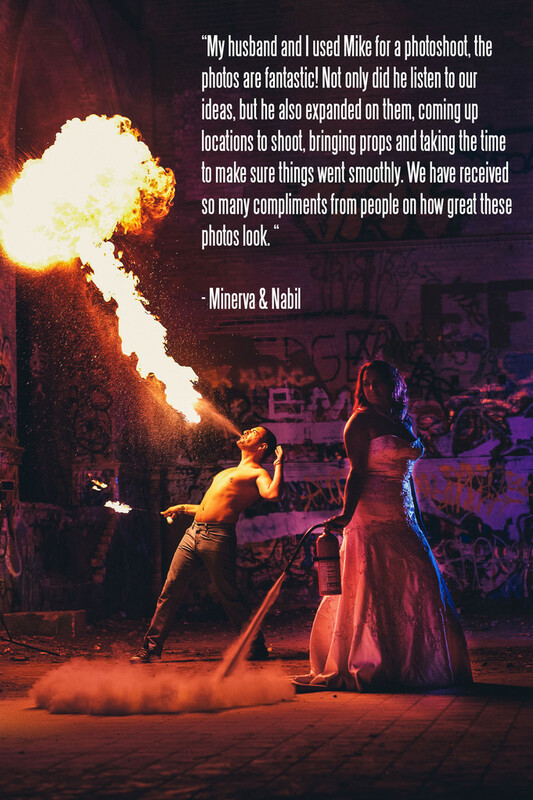 In this image the groom is breathing fire in the background and the bride is holding a fire extinguisher. The colorful trash the dress and burn the dress photos were accomplished with gels on flashes and a tripod for the camera. This photosession is still one of my favorites and one of the best uses of a Philadelphia warehouse.